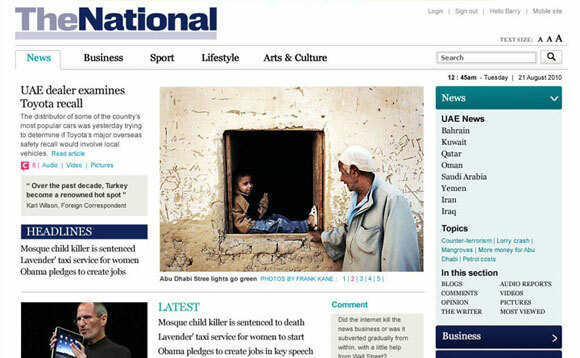 The National is a newspaper in the United Arab Emirates launched by ex-Telegraph editor Martin Newland in 2008. I worked on the website from 2008 to 2010. For much of 2010 I worked on the project to relaunch the website. It was plagued by technological problems due to poor technology decisions and an appalling technology company. Despite these factors, the website launched and the project started to become a success. To create the best online source of news, business, sport and culture in the Middle East. 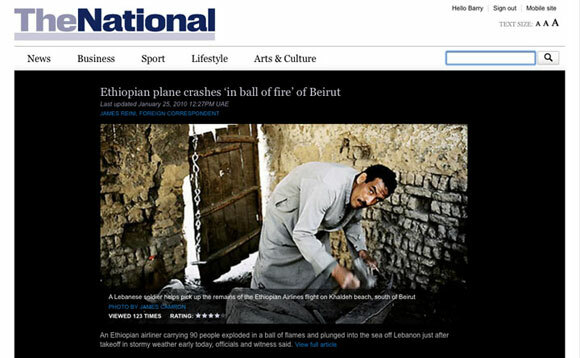 A major issue was how to make the most of the vast amount of content produced every day by The National’s extensive network of journalists, correspondents and photographers to create a vibrant, popular and authorative news website. Implementation of a new content management system was also part of the requirements. Restructure the website’s information architecture, refocus on key target audiences and increase accessibility and ease of use. Fewer channels to simplify navigation. Topics to create “living urls” for a wide range of subjects. Managed comments, blogs and debates to increase audience interaction in a politically sensitive region. 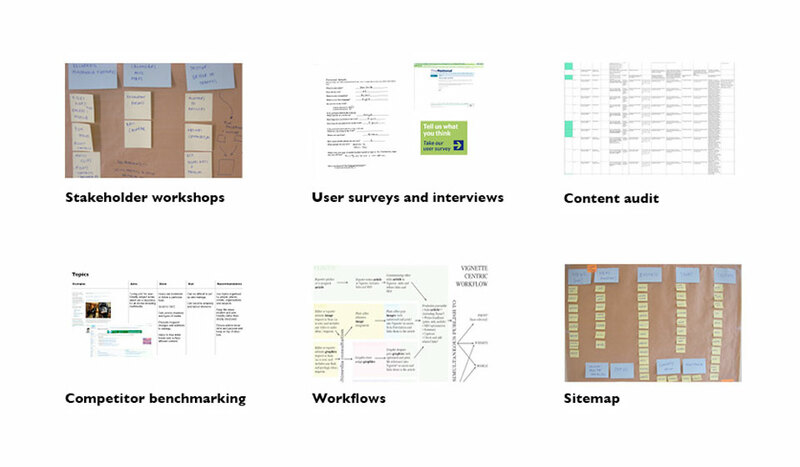 A user-centred design process with extensive, localised testing is important in this diverse and idiosyncratic country. I conducted workshops with key stakeholders, compiled features and functionality requirements, analysed competitors, developed information architecture and conducted user interviews and testing. I became one of the primary liaisons with Fortune Cookie, a web-design company hired to design the front-end. Many of my findings and ideas became part of the final design.